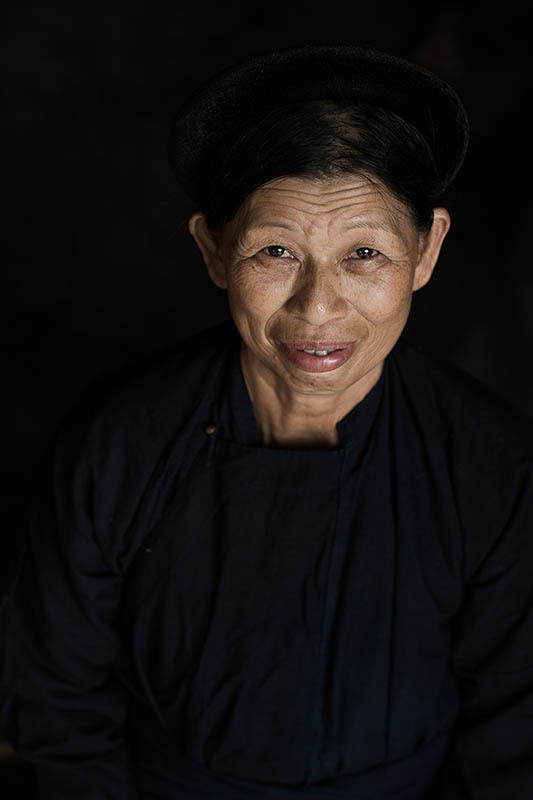 The Tay are Vietnam’s largest ethnic group and have a close relationship with the Kinh. They reside in the Northern provinces; however, I met this particular Tay woman in the Highlands while I was leaving a M’nong Village. She happens to be Kim Hai’s grandmother, one of my favourite models who is part of my Giving Back Project. I’m a strong believer in Karma and the fact that her grandmother offered me her costume to display in the museum is no mean gesture. 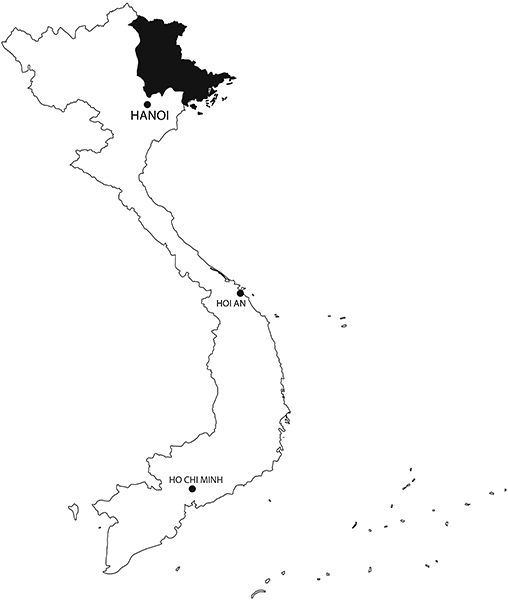 Unlike many mountainous groups living on steep slopes, the Tay settled in fertile valleys at the mountain’s foot. And in contrast with the very elaborate attire of several northern groups, the Tay’s costume is extremely subdued, composed of a straight skirt or trousers and a long tunique slit at the sides, very similar to the Ao Dai, the Kinh’s traditional costume. Only the bright belt – traditionally made out of silk – which shimmers in contrast with the dark cotton indigo dyed dress, stands out. Certain local groups wear a shorter skirt and the Tay Pa Pzi adorn the austere costume with little touches of colour, silver elements and a cloth hat whose shape represents a house.